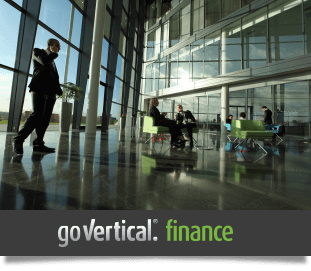 Fast access to your information AND regulatory compliance. The ability to print and copy documents privately and securely. Fast access for customer service. Through our MaxCare® line of services, we can manage your network; lease/sell and maintain your office equipment; and/or provide document management and process automation for fast retrieval and faster, more accurate workflows. Document imaging and workflow save time routing documents – automatically – for approval. Customer information is centrally saved so questions can be answered quickly and accurate; making for happy customers. Comply with regulatory demands (PCI Data Security, Sarbanes-Oxley, Graham-Leach-Bliley, etc.) by securing records and protecting client confidentiality. Document management saves time and increases productivity. Use technology to free your employees from paperwork so they can focus on generating revenue. 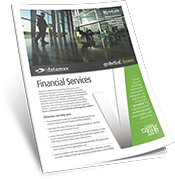 Financial Institutions go Vertical® with Datamax Arkansas with smart application of technology to their business needs. “I have worked in Information Technology for almost 30 years as an I.T. Director, Operations Manager, and Network Administrator. During this time, I have learned one universal truth about outside service providers: They are all perfect, and will do almost anything to get one’s business prior to the sale being made. Once the contract is signed and the commission paid, all too often a different reality emerges in the business relationship. The reality is that there are huge differences among organizations that provide service after the sale. In this arena Sherry (our Sales Representative), backed by the responsive and technically astute team at Datamax excels. They are on schedule, on budget, deliver what they promise, and go beyond the call of duty every single time. They anticipate needs, understand the concerns of non technical staff, listen well, and come up with creative and cost effective solutions. Most of all they know our business and strive to learn what we are about, our special problems, and what we go through when something does not work right; because we are in a customer service business too. Sherry has never let me down! She has been here for us during the analysis phase of a business decision, made creative suggestions and handled difficult and varied personalities with poise and grace. The support and care given to us by every member of the Datamax organization has been professional and truly outstanding. I would highly recommend them and their services.